If you are wondering why you haven’t heard of Obeleville town before, it is because it is so tiny, no one has thought to put it on the map. Yet. Kate Iffy Chukwu is your child’s best friend because she keeps them entertained with beautifully written stories. 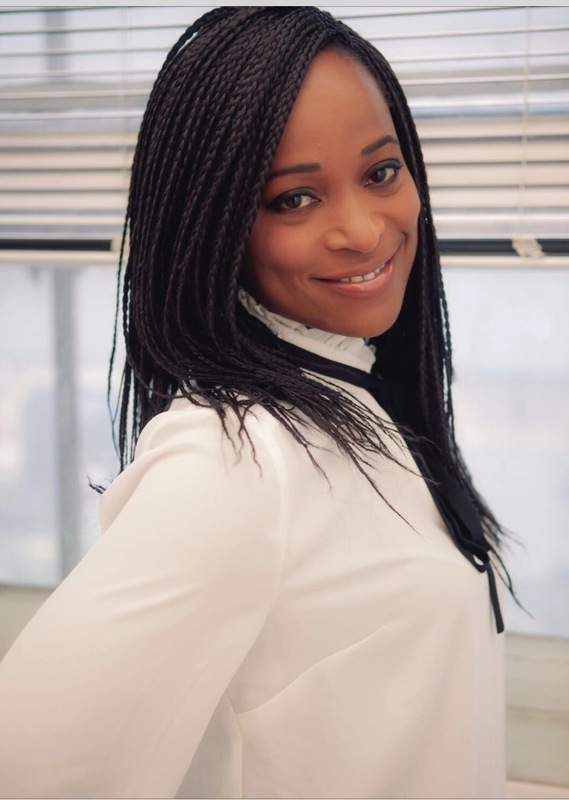 She talks to UZEZI ADESITE about her new book, ‘My Name is Kosi Kamsi’, which is set in the tiny town of Obeleville, located on the African West Coast. In this interesting town, we meet a regular child who dreams big. Congratulations on your new book, My Name is Kosi Kamsi. What is it about? Thank you so much. My Name is Kosi Kamsi is a compilation of eight warm stories for children from 6 years old and above. It tells the story of seven-year-old Kosi Kamsi, who wants to be a president when he grows up. His experiences in school and at home give him some ideas of what he would like to change when he becomes the president - this includes not doing any homework! In this book, which is the first in the series, Kosi Kamsi wants to save the world. He wishes he had a dog. He practices bravery when he finds out that he is the only boy at Cooking Club. He chases a fat stinky goat. He learns about Mount Kilimanjaro. Kosi Kamsi is the everyday child with a big dream. Can you tell us what inspired this story? When I was younger, I read varieties of books. Now, I love reading books with African themes. However, in recent times, children’s picture and chapter books written by Nigerian or African authors are still few. I had read Ifeoma Onyefulu’s picture books, Atinuke’s Anna Hibiscus and No 1 Car Spotter, I didn’t see more. Maybe there are, but it’s a rare find. That gap gave birth to my first idea. Then, my first book was a retelling of Tortoise folktales titled A Week of Tortoise Tales. I wanted my next book to be about human characters children could relate to. Another idea was born. Another great inspiration came from my children and their cousins. Every child is different. After hearing dialogues during family gatherings, I pictured a book about a family full of opposites. I wanted the family to live in a fictitious town in Africa, so that children all over the world can learn a thing or two about Africa and some of its cultures. Not the Africa badly painted by the media sometimes. It took me about a year to complete the writing process (the publishing aspect was a different ball game). I wanted my characters to interest my readers, so I kept on writing and re-writing and refining my characters and their environment. Thank God for computers. If I had used a typewriter, I would probably have given up! Writing for children is considered difficult. Why did you go for children category? During my Masters in Creative Writing, I started out writing women’s fiction and short stories. I did not go to children’s category. I think it came to me. Looking back, it could possibly be because I had children who I loved taking to different libraries and bookshops. I also read with them books they brought back from school. We read together. We discussed the stories. Probably I was drawn to children’s writing because I had read lots of children’s books. Children’s writing is different because in order to write a good child-friendly story, you have to “become” the child. Think like them. Reason like them. Talk like them. Enter their world. Otherwise, the story or dialogue loses the intended tone and feel. I wrote my first children’s book, A Week of Tortoise Tales in 2013. Prior to that, I wrote short plays and short stories for competitions. However, my first published work was in 2007, where I wrote a couple of non-fiction articles online for Nigerian Village Square. No, I’m not a full time writer. However, I always have something to write! Can you tell us about your other work/s? I do African storytelling workshops here in the UK. I have a weekly Storytime channel on YouTube. I create online courses for parents, teachers and Sunday school teachers in storytelling, story writing and drama. How has the reception for My Name is Kosi Kamsi been? Recently, a child asked if I would do a TV show of My Name is Kosi Kamsi because the book was so interesting! I wrote a message on the last page of the book for readers to leave a review. So please leave a review on Amazon! 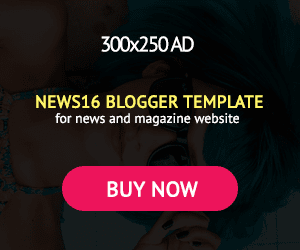 What marketing plans are you using to reach your target? Is there a book tour coming? As a children’s book author, I know I have to target both the children who will read the book and their parents/carers who will buy the book. Therefore, it is a tougher plan. Social media has been a powerful tool. I had a book launch team at first on Facebook, which helped spread the word when the book first came out. And that’s how I met you! (smiles). Social media will be key. My offline school book tours will be after the Christmas, where I’ll do workshops and have Q&A sessions with students and parents. I have some education industry events booked as well. Word of mouth cannot be underestimated! 35 copies have been sold in Lagos through word of mouth! Are you working with schools to see that this book is adopted into their list of literature books? Absolutely. My first move was to get as much copies into Nigeria. Currently copies are in Lagos and Abuja. I have contacted schools. My next move is to go to these schools. It would be lovely for schools to have it on their list. 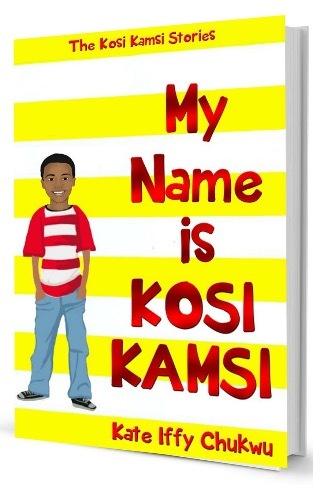 My Name is Kosi Kamsi is educative, informative, entertaining and an excellent book for any child who wants to just read for pleasure or build up their reading confidence. How would you describe the writing industry in Nigeria, especially the children category? The writing industry has evolved. When I did my Creative Writing in 2013, I used Eghosa Imasuen as my case study on the problems of publishing in Nigeria. It was tough for writers to get their work published. However, with more and more people writing publishable work now, publishers like Farafina, Cassava Republic and Lantern are getting more writers on their list. It is still challenging, but with online publishing arms like Amazon, Smashwords, more people have hope that their writing will be published. Within the children’s category, honestly- I would love to see more. What can be done to help our children know more about our history? Museums help people to know more about history. A museum is designed to inform and teach. Children will be happy to learn our history in such an inviting place. Mind you, a museum visit is not only for academic learning, it opens the door for more curiosity. Children will ask questions. They will think. They will imagine. They will have ideas. They will re-tell the stories of what they have heard. It is that type of learning that children rarely forget. If we had more museums where schools took their students on educational trip or parents took their children during the weekends, children will be happier to learn better or be more curious about the topic than sitting in the classroom, just staring at a teacher teach. Another way for children to know more about our history is to give them easy- to- read books about our history. History does not have to be all gloomy and frightful like the wars in Queen Amina’s time or Usman Dan Fadio. Now even if the story is about a certain war, it should be written in a child-friendly way. There has been amazing times in our history. There have been great people who did great things. Great events. Nigerians doing amazing sports. Nigerians been awarded for their achievements (both young and old, home and in the diaspora). These should be documented and schools should have these in their reading rooms or libraries. If you were in government, what would you do differently to promote the arts? The importance of book -filled libraries cannot be over-emphasised. Every town (big or small) should have access to libraries where children and their families can have free membership and access to borrow books. Only if they fail to return it or return it in a very bad shape can they then be charged for it. These libraries should also have a few computers where people can use them as a library catalogue, or children can use them for their homework. I totally love the idea of having good museums. There are different types. Museums are for everyone. If I was in the government, there would be book museums, where anyone can read about authors and see samples on display. There should be free books, art and craft events that promote art and culture. These will inspire young people to be creative, dream big and develop special skills. Are you currently working on a new book? If yes, when should we expect it? Yes, I am currently working on Series 2 of My Name is Kosi Kamsi. To be released middle of 2018. By God’s grace. What Nigerian writer did you last read, and which are you currently reading? I re-read a novel by Lola Shoneyin, Baba Segi’s wives. I am currently reading Amaka Azie’s Melodies of Love. I am yet to read children’s chapter books by Nigerian authors. The children’s books I read a while ago were Atinuke’s Anna Hibiscus and The No 1 Car Spotter. She is a Nigerian living in the UK. I would love to read more literature from Nigerian children writers. And I don’t mean the little pamphlets about a young child having to fetch water, cut firewood, and look after his entire family before going to school...if at all he goes!